Fact fluency is a big part of math in first grade. You may be thinking, "How in the world am I going to teach these kiddos ALL these facts with fluency when I literally just taught them how to add?!" First graders are usually expected to master all facts to 10 with fluency by the end of first grade so I wanted to share a bunch of tips and activities to help you help them get there! To develop fact fluency, I think the best thing to do is just a ton of exposure and practice. Dice is always a GREAT way to practice adding that kids always enjoy. An awesome game you can play is DICE WAR. Have students partner up and take turns rolling 2 dice (or use 4 dice and have them roll at the same time) and adding it together. Then, they each write their addition sentence they made on a whiteboard or scratch paper. If their sum was bigger than their partner's, they get to circle it and win that round. Whoever has the most circles when they're done wins. :) I think it's great to have them keep score on the side with tallies which is great real world tally practice as well! I also love this game with playing cards! Students take turns drawing 2 cards at the same time, add them up, and the person with the bigger sum keeps all 4 cards. If they're the same sum, all cards stay out and they each draw 2 more cards - whoever wins that gets all those cards.. basically like regular War but each person does 2 cards at a time. 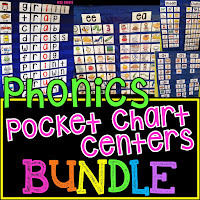 You can have them write their number sentences like with the dice game if you want but it's not necessary. Make sure you take out all the face cards. You can easily differentiate by taking out the higher numbers so they only do sums to certain amounts. You can also play this game with dominoes! Have them put all the dominoes upside down and each take one and flip it at the same time, add up the dots on each side, and the person with the biggest sum keeps both dominoes. Person with the most dominoes when they're all gone wins! Speaking of dominoes, another awesome game I love is COVER ME UP! For this game, each kid gets a gameboard. Use double-six dominoes and take out any that have sums bigger than 10 (6 and 6). Students start by turning all the dominoes upside down. Then, they take turns drawing dominoes and covering the sum it makes on their board. If there isn't a space they can put it on, it goes back in the pile and they swish around the pile to mix it in. The first person to cover their entire board wins! I also think flash cards can help a ton! I like to put them on binder rings by number. For example, all of the 3s facts are green and on their own ring. If you're fortunate and have parents who will help, send them home for practice! Only doing 1 set at a time makes it a little more manageable (and less scary) for students and parents. When they master a ring, they send it back to school and take home the next ring. For example, when they master the 3s, they bring them back to you and you give them the ring of 4s. Another option is fluency baggies! When students know a fact immediately without hesitation, it goes in their "Fluent Facts" bag and the ones they're still working on go in their "Study Stack." Once you feel like they've started to master facts, you can do little fact assessments by number. I print each number's test on a different color paper so it's easy to keep track of. It's up to you if you want to do them as an entire class or if you want students to work at their own pace. I made 3 levels of each test -- the bigger the paper, the more challenging. So everyone starts on the 3 to a page sheets then moves on to the half page sheets then the full page sheet. I made 3 levels for each number with sums to 10 (bottom row of above picture), 3 levels for each number with sums to 20 (top row of above picture), and 2 levels of subtraction within 10 for each number (not pictured). I should've used a bigger number as an example so you could see the sums to 20 but I think you get the point. :) There are 79 different practice tests/sheets like this so it's a ton of practice! Real quick - if you do these at their own pace, I really recommend not having 100% scores be public/hung up/announced, doing awards, or publicly displaying kids' progress. The kids who are rocking it already know they are and don't need any more motivation than you saying, "Great job!" but the kids who are struggling also know that very well and you want to be careful not to embarrass them. I know we want to encourage kids to practice but some kids really struggle with memorizing facts and just need a ton of time/exposure. Celebrating the other kids with fun things for reaching goals may seem awesome but the kids who really need the motivation realize they are not being celebrated and it might hurt their confidence, give them test anxiety, etc. Anyway!! On to the fun stuff!! A-maze-ing Fluency is one of my favorite fluency activities. I made them for several different numbers - this one is for 7. So kids look at the problem in each box and if the sum is 7, they color it in to get to the end of the maze in the opposite corner! You can easily put this in a sheet protector and have them use a dry erase marker to make it a reusable center. Another fun one is "Circle the..." where they get a word search style puzzle with numbers. Each sheet focuses on a different sum (in this case, also 7) and they circle all of the numbers next to each other that make that sum to find as many as they can! You can also make them into reusable centers by laminating them and using velcro! I LOVE doing this for cut and pastes because it makes it even more hands-on, doesn't waste paper, and you can use them over and over. I buy the rolls of velcro and just cut little strips to put on the back. Notice the strips on the right side of the above picture - you just cut them to the size you need. They're awesome - you just peel the sticker off the back and stick them on. I do the scratchy side on the back of the answers. Then, I put the soft velcro side where they'd put the answers AND on top of the same answer in the answer bank. That way, when they're done, they can put all the answers back in the bank and it makes it super easy to keep track of the pieces because they're stuck on there and not in a baggie or something. It's one less thing to keep track of and keeps it really organized. As you can see above, you can still see the number in the answer bank under the velcro so it's easy for kids to put them back when they're done and know you have all the right pieces for that center. 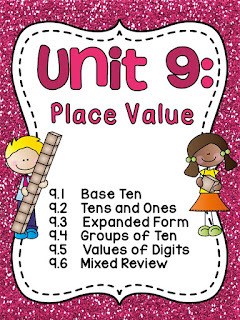 I am seriously obsessed with doing this for cut and paste activities - it makes it 3D too the way the numbers pop up which kids love and they can move them all around until it makes sense and is correct. One more fun game I want to show (it's always hard to choose!) is Rollin' Facts.. I made one for each number so each one is practicing fluency for that number. These are great to do for practice before/after the tests. So this one focuses on 4s facts for example. They roll the dice and add it to 4. So every time they roll the dice, they are practicing their 4s facts. Like I said, there's one for each number so they can practice them all. And of course there are puzzles. You know me by now if you've read my other math concept blog posts that I love puzzles and make them for everything. 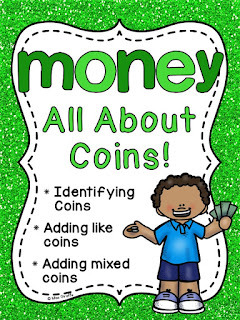 I hope you can use some of these ideas to help your students build fact fluency!! All of these activities are in my First Grade Math Unit 10... and that's just ONE concept of four included in the unit. It also covers Adding 10 (10+3, 10+4, etc. ), Adding 9 (moving 1 to make a 10), and making a 10 to add which I also blogged about here: Making 10 to Add! I also have a Multiplication Fact Fluency Unit like this! If you want activities like this but for multiplication, check it out! Want to read more MATH ideas from me? Wow! I love all of these activities/ideas! 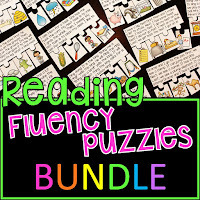 I just bought a different fact fluency bundle but now I think I need this one! I love all of games that are included and I never thought to use Velcro for cut and paste worksheets! Genius! Also I agree with not publicising student progress. Reviewing your games and I love them. I agree with two points you made: not publishing as grades because those doing well need little more than a "good job" and those on the other side of the coin, don't need to feel embarrassed because they are not progressing at the same rate. Also, practice and exposure are key to fluency. Thanks! Thank you! I appreciate you taking the time to leave a kind and thoughtful comment. I definitely agree - practice and repeated exposure are key! Love the post! Is there a way to just download the baggie labels you used above? Thanks! Thank you so much for sharing this! I just finished my first year teaching and your insights and ideas have been such a blessing! I can't imagine how long this took you. Wow!! All of your ideas and resources are FANTASTIC! 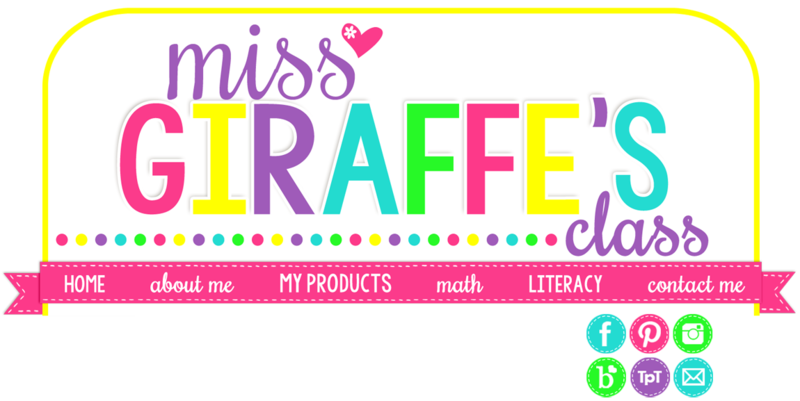 I'm being moved down to first grade (from second grade) and I've been so overwhelmed trying to figure out what I need for math and literacy stations. Your blog has been an incredible help! Thank you so much! Thank you so much Kimberly!! I appreciate your kind words! I bought this unit to make centers for my class. I am using dry erase pockets for many of the activities and will make the fact rings Velcro sheets soon, what great ideas! How do you store all of the activities? Hi Mare! 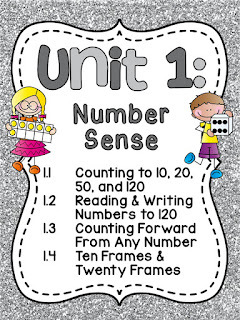 All of the activities from this post are in my First Grade Math Unit 10 :) I actually have that unit in Spanish too if you were looking to teach the concepts in Spanish. I hope you enjoy it! Thank you for reading my blog! I just purchased you fact fluency unit. I am wondering if you laminate the assessments or if you have them printed for each student? Just seems like it may be a lot of paper? ?